Hello Everybody and welcome to the first A Paper Pumpkin Thing Blog Hop of 2018! If you get Paper Pumpkin and are looking for some alternate ideas you have come to the right place! 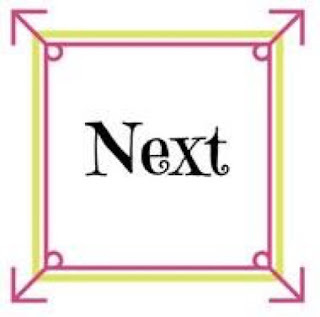 I am joining a bunch of talented Stampin' Up! 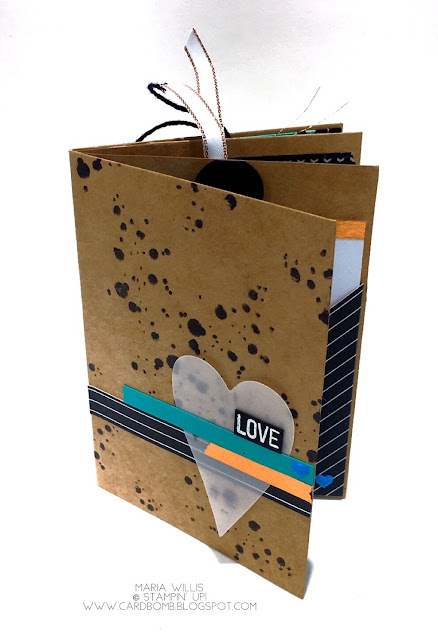 demonstrators from all over the world to share some creative ideas for making both cards and projects from the contents of your monthly Paper Pumpkin Kit! Personally, I am not a huge fan of the color pink so I swapped out the Flirty Flamingo that the kit was designed with for some Bermuda Bay. 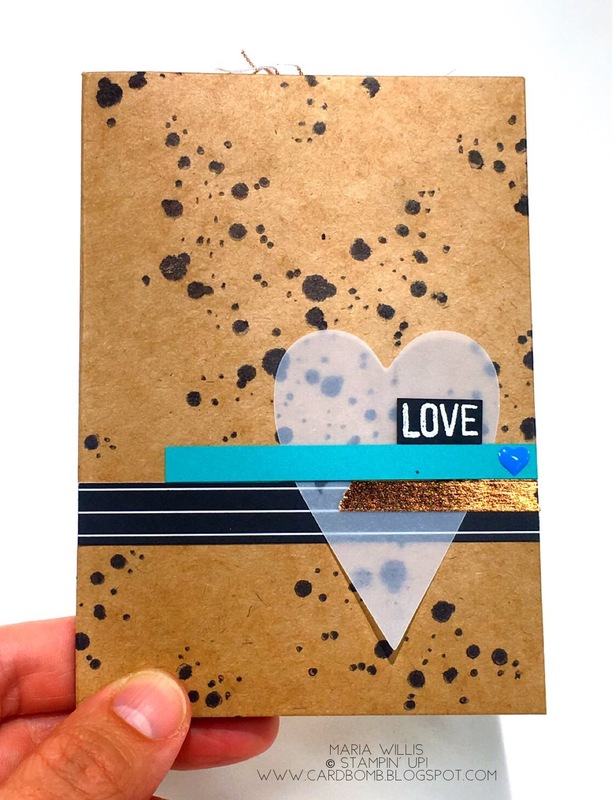 The envelopes in the kit are a dark Crumb Cake color so I added some Crumb Cake ink to stamp my background. 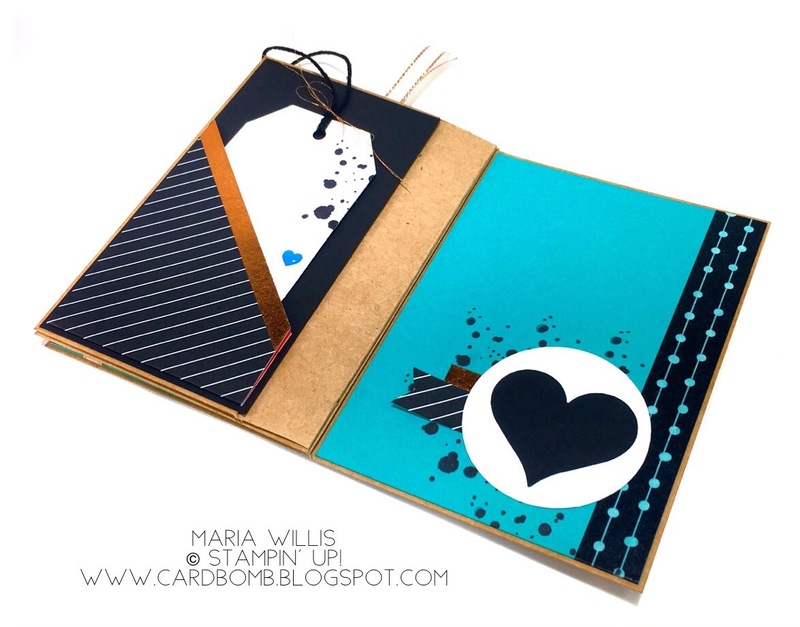 The background is layered over Bermuda Bay and a card base of Basic Black. 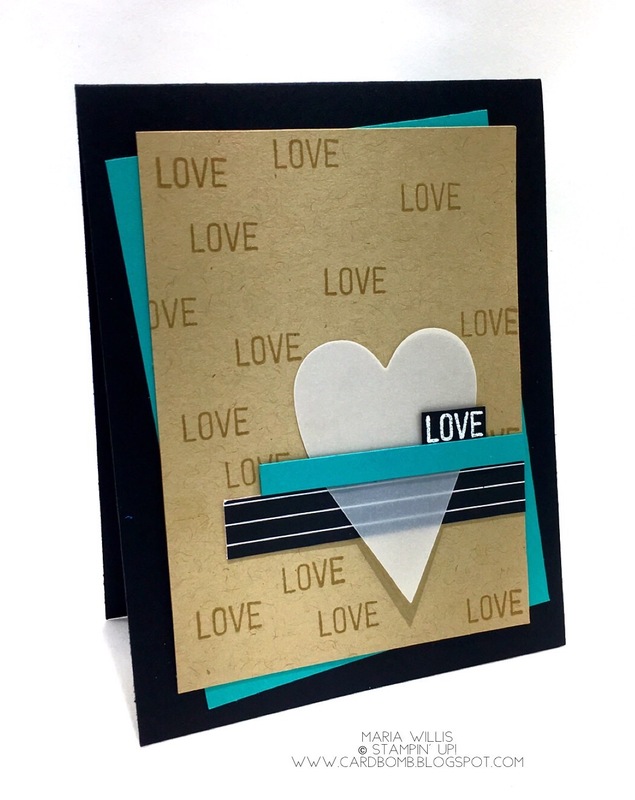 One of my favorite things in this kit are the vellum hearts-they are so fun and I'm a fan of the elongated shape! I layered mine over a piece of striped DSP that I cut off of a card base from the PP Kit. Then I heat embossed the same "LOVE" sentiment in white on black cardstock. I cut it out and layered it on top of the heart and off set it just a bit. This card was so easy to make thanks to all of the Paper Pumpkin supplies that I had to work with. And here it is about to be opened up! Here's the first inside layout. 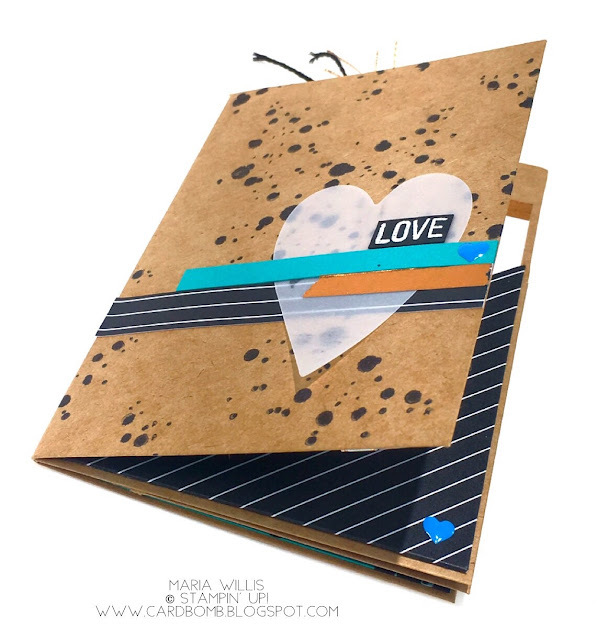 I've used stamps and paper pieces from the PP kit to make just about everything you see here. 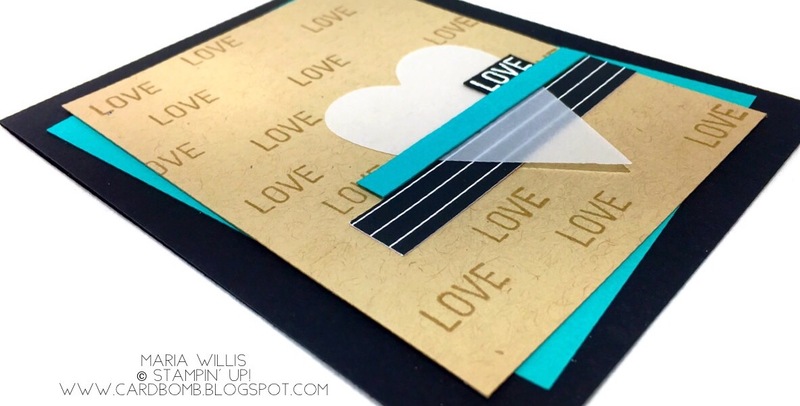 I did add some Bermuda Bay and Basic Black cardstock to keep with the color theme of my card. The Bermuda Bay piece is a pocket and the little little black tab peeking out is a secret message... fun, right?! The note on the right is slipped into the pocket and comes out easily as well. 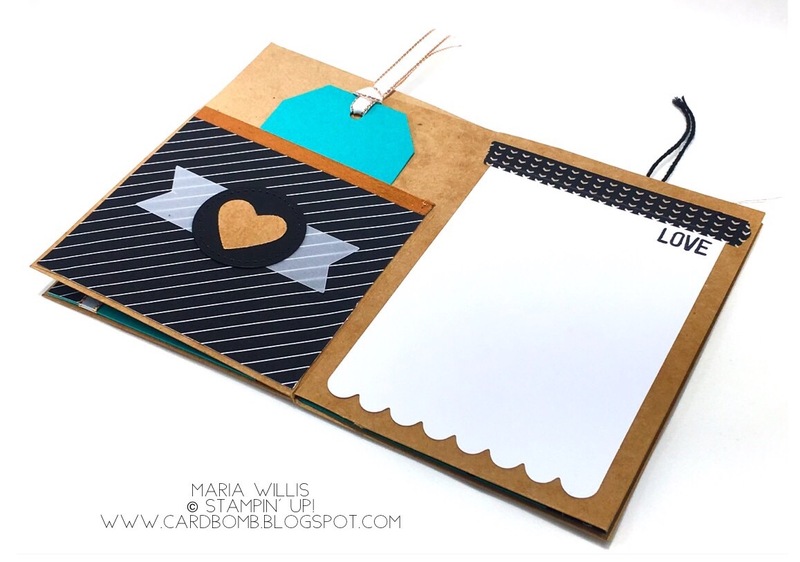 The second spread looks like this, it's pretty simple but has nice room to write and the tag on the left pulls out. 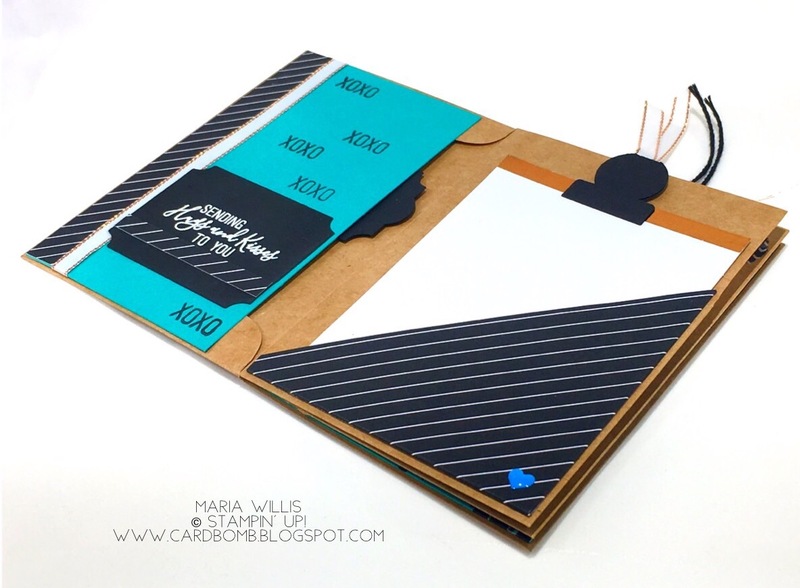 The striped DSP on the left and the fun scalloped paper on the right are both from the PP kit as is that gorgeous white ribbon with copper edges. One of the most fun things about this project was adding fun details. This vellum banner was from the PP kit and I layered a stitched circle and small Crumb Cake heart over the top. I didn't use dimensionals because I wanted the book to close as flat as possible. This is the third and final layout... I think it's may favorite one. I edged the pocket on the left with some copper washi tape then made a tag to fit inside. Those splatters I've used are from Swirly Bird and did a good job of grunging up this project a little bit. On the right I've used the Pick a Pattern washi tape and done some more layers. This embellishment was so easy as it is just simple layers. 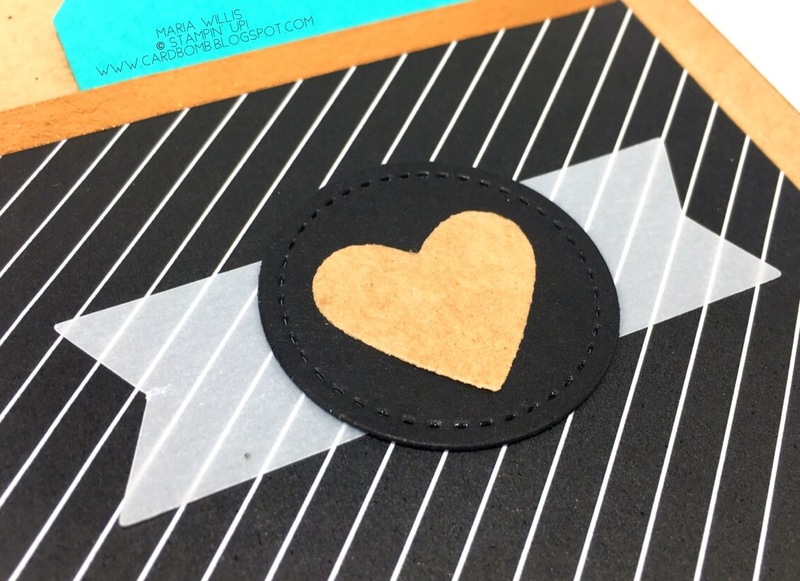 The heart is layered on a circle and placed over a DSP flag and a strip of copper foil washi. Fun! I had such a good time putting this together but didn't have time to make a tutorial. If you're interested in a tutorial please let me know and I will make you a video ASAP! For now, I hope you'll continue on this fun blog hop by clicking the next button below and heading off to visit my crafty friend Audra Monk! UPDATE! I had so many requests for a tutorial that I have made a video for you to follow along with. Happy crafting! Thanks for stopping by my blog today-It was so great to have you! If you have any questions for me please shoot me a message or leave me a comment. If you'd like to sign up for a Paper Pumpkin kit of your own you can shop below or message me for help. Maria ~ I LOVE your love book! All the little tucked in bits and details make it really special. Bermuda Bay is my jam! Thank you! 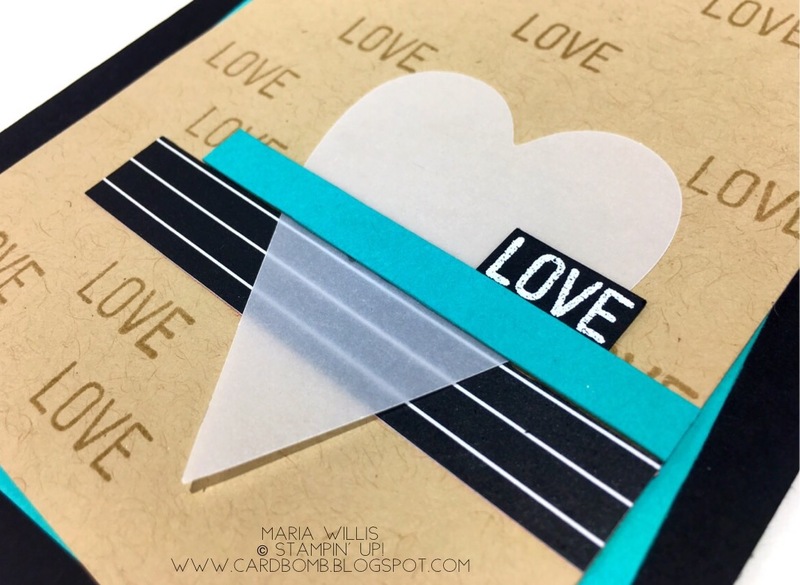 Love your color combo and the layout of the stripes over your heart - genius! TFS! Yes, I love these colors, too! The card would be great to send to a man. And what a cute album. Even the front could be a card front, too. I'd like to sed a tutorial if you get a chance to put one together. Thanks. Thank you Kathy! The tutorial is up now-enjoy! Thanks Mary! Video tutorial is up now-have fun! I love the book. This is such a great alternative to the kit. I would love to see a tutorial on this. Thank you! The tutorial is up-happy creating! Love it!! Want a video please!! I love it all! I am such a fan of little books. Thanks Audra! This was so easy to make that I’m a fan now! I'd love to see the video on this too! Such a great idea for this kit! thanks for sharing! Thank you! The video tutorial is up now. Have fun! You’re welcome! I’m so glad you liked it enough to want a tutorial!